The stall's name, TeoChew Bakso, is quite intriguing. I google for the word "Bakso" and it literally means meatballs in Bahasa Indonesia. However, this stall is definitely not selling any meatballs but instead fishball noodles. 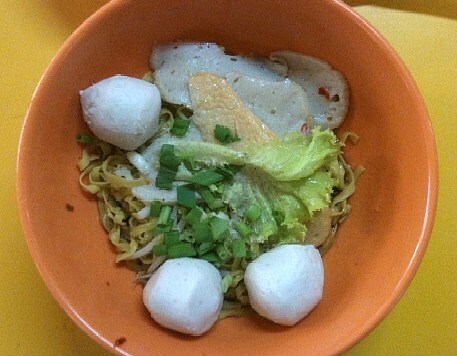 I must say this is one hell of a fishball noodles as it tastes heavenly, literally. The fishballs and fishcakes are homemade to a fine perfection. You can taste the freshness of the ingredients. The sauce mixed with the noodles is just nice although the smell of the vinegar is relatively quite strong but it definitely don't taste sour. 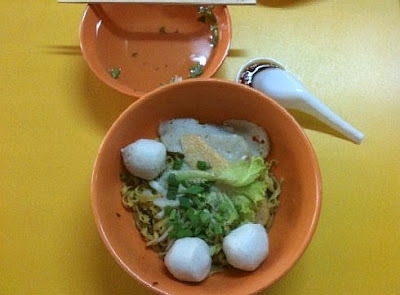 The fishballs and fishcakes are large compared to many similar stalls. What is on offer then?